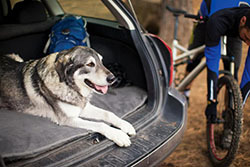 This low-profile, portable bedroll gives dogs a sense of home wherever they go. The Mt Bachelor Pad rolls up and secures with integrated hook and loop straps into a neat roll with handles. 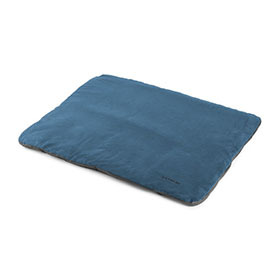 Comfortable, durable microsuede top with wateproof polyester base to keep the bed dry. Try it in the cargo area of your vehicle or any spot in your home. Medium 27 " x 34"